RosieSandz: My Life Lessons...: MLK... 2012 Still Dreaming? What if human right activists didn't exist? And today more than ever I wondered what if our ancestors hadn't fought the good fight? What if there hadn't been people with common sense whom realized the wrongs and the NEED to righting them? We all have the capacity to know right from wrong, we all have the sensibility of knowing how we would like others to treat us, we all have the ability of invoking self-righteousness -but if only for the right cause and being intolerant of the obvious wrongs...Why is it, we as people, can't get pass our own selfish needs and ways? 49 years later...What happen to Martin Luther King dream? "I have a dream that my children will one day live in a nation where they will not be judged by the color of their skin but by the content of their character. I have a dream that one day, little black boys and black girls will be able to join hands with little white boys and white girls as sisters and brothers." Born in Central Africa and raised in Western Europe I cannot say that I have not experience racism during my young age however what I can honestly say is that I don’t recall it affecting my growing up. I believe as kid we have the ability to brush things off and not hold on to negativity with an ease that we lose when getting older and really understanding the weight of words and actions. I reached a professional level which requires me to deal everyday with all sort of clients and every once in a while –more than I can comprehend, I experience white folks who do a double take when they find out the manager/authority that they summoned to deal with their aggravation is a black woman as if someone was playing a bad joke on them. And…I deal with black folks who soon as you tell them “no” they are quick to revert to the race factor and how we judge them because of their colour. Deal with black folk who because they believe they are owed “by the white men” act entitled and behave out of decorum and that should be ok… All this as if I’m not black myself. Land of opportunity... Yes, the one you choose to take and make for yourself. Is this the same country where in 2008 while the whole world was cheering him on and waiting with anticipation result that would validate some sort of equality among all us, African-American Barack Obama was elected 44th president? The very first Black US president elected. Now I asked, is he being judged by the colour of his skin or by content of his character? We take 100 steps forward than 30 steps back and I truly believe we ALL have our cross to carry. Land of equality… Absolutely not. How when we have a hard time loving and showing equality among ourselves will we be able to feel equal to other? 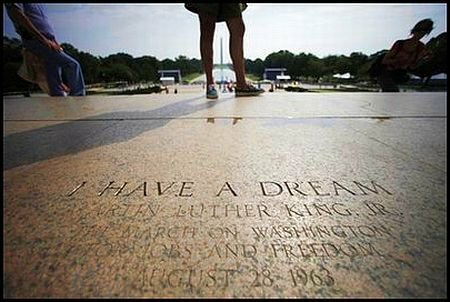 What happened to Martin Luther King’s dream? We celebrate his life and speak of his speech every year since his untimely death; but when are we, as people, going to achieve his dream so that could be our legacy? What happened to Patrice Lumumba premonition of how history will be seen? What happened to us living up to what many have fought and died for us? I believe Martin came along in the right time for the nation. He said “that for America to live up to the ideals of its origins, people would have to be judged solely on the content of their character, not by the color of their skin”. What a powerful statement. He stood up and said what he thought about racism & by doing that many people changed their idea about the black so that the black could suffer less, although racism is still a reality today. It shouldn`t be like this, people should not judge by appearance and popularity... Martin believed that we are all one and that we shoudn`t judge people by color, culture or language because we are all the same and at the same time we are different & that`s what makes us special... & I believe that was what Martin tried to say in his speech. Many may not agree with me but I stand strong to my belief. We all know the history behind MLK & that Martin did not have a very long adult life, although a lot of things happened in it - he changes history not only for the Blacks but all minorities and helped many of us appreciate diversity. One of the most famous things Martin Luther King did was the "I Have a Dream " speech, which is very influential to me! Today, I sit back and listening to Julien and Juliana’s questions about this history (just this week they did the ‘I Have a Dream” speech and could not believe all the questions that came up)- Always at Joy to help them understand this part of our history. Sadly, I do feel that though much progress has been made over the years, too many people failed to understand the true meaning of the ‘his dream”; which is True Equality. I, myself, was born at a small Island off the west cost and Africa and at the age of 4, we won our independence from Portugal; Too young to have understood the “meaning of it all”, and to begin imagining what the experience was like- but what a victory for my people & my country. In the end, I could be despondent over our lack of progress as a society. But I chose to believe there is hope that future generations can learn, or unlearn, as needed, the lessons of history, especially this history. I believe ignorance still abounds, but the “dream” still lives and will always live. Earlier I mentioned that I have grown to appreciate Diversity. What is Diversity? Maybe one of your next Blog you can share some outlook on this? It is clear that you have found your passion in writing & you do a Great job and hope you do not mind that I throw ideas back at you for future Blog!!!! I have today off and ready to run few errands and enjoy a little me-time….